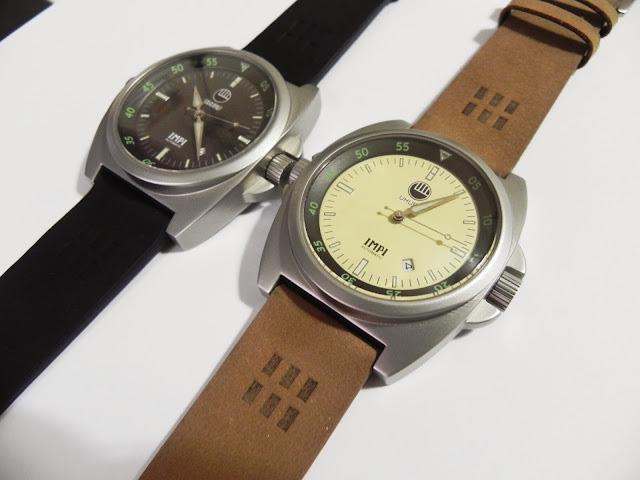 Earlier this year, I was contacted by Nick Warner of Uhuru Watches Watches. At the time, his venture was still in the concept phase, but it appeared to have solid specs, a sound design, and some unique elements that piqued my interest. We kept in touch through prototyping, and he is now preparing for a December Kickstarter launch. 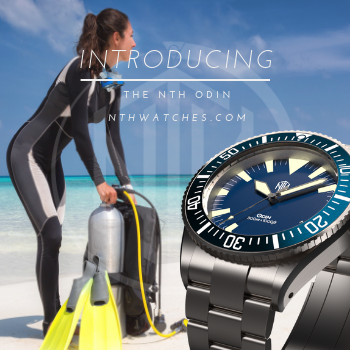 The watch is a 200 meter diver with an internal timing bezel, twin crowns, sapphire crystal, SuperLuminova, and a Miyota 8215 movement. The most appealing aspect for me was the way Nick incorporated design cues from his native South Africa. Pricing is not yet final, but expect an MSRP of about $450 USD, and Kickstarter prices starting around $250. Welcome to The Time Bum! Please tell me a bit about yourself. Hi Time Bum! First off, thanks so much for taking an interest in Uhuru and the Impi Automatic. My name is Nick and I’m the creator of Uhuru Watches. I was born and raised in Pietermaritzburg, South Africa, the provincial capital of Kwazulu Natal. It’s a place close to my heart that’s been a big influence in the creation of Uhuru. I briefly studied media and communications at the University of Kwazulu Natal before moving to New Zealand in my early 20’s where I made a switch to a B.Sc in Biology at the University of Canterbury in Christchurch. I’ve been a lab technician ever since. Working in the lab is probably what really fired up my interest in watches. Like a lot of people my age, the cellphone took over as a pocket watch and the wristwatch became redundant. In the lab though, you always need to keep an eye on the time for incubation periods and reaction times and you can’t always dig in your pocket for your phone especially if you’re wearing latex gloves covered in various nasty compounds. A wristwatch is much more practical. I’ve always had a really wide range of interests, hiking, cycling, gaming, growing things, tinkering with things, bit of a jack of all trades. I’ve wanted to create my own business for some time now and my interest in watches and a confluence of other factors came together to make starting Uhuru now a reality. Tell me about your watch hobby. How did you get into it, and what pieces do you own or admire? It was mostly the practicality of a wristwatch in the lab that got me started with watches. I’m a big fan of the unusual and the first watch that I really coveted was a TokyoFlash quartz LED piece called the jlr7. I was a really poor student back then so it was out of reach at the time and it’s never been rereleased sadly. If you’ve never seen it it’s worth looking up, it’s absolutely crazy! It lights up an abstract pattern that you need to learn to tell the time. I loved it. For the early years of my hobby I mainly stuck to unusual quartz pieces, a Storm Darth, an Unemployed Philosophers Guild Dali watch (the hands are Dali’s moustache) and a TokyoFlash Star Performer. I’ve mellowed in my tastes of late though so my current daily wear is a Citizen Eco-Drive BM8475 in all black. My interest in mechanical watches is fairly recent. I have a colleague who is really into them and she introduced me to aBlogtoWatch and Watchuseek and I just dove into the world of mechanicals. We spend quite a bit of time looking up different watches and comparing finds. I came across Magrette watches that way and I felt really inspired by their brand to try create my own. I LOVE Magrette watches and they have been a huge influence on the design of the Impi Automatic. Their Regattare is really high on my wishlist and I’m really hoping they reissue it, I’d hate to miss out on it like I did with the jlr7. What attracts you to certain watches? Do you have any "must haves" or " deal breakers?" An interesting story or unusual features is a big draw for me. An unusual watch can be a great conversation starter. I’ve moved on a bit from the unusual quartz watches that use patterns to tell time to more traditional mechanicals. A mechanical watch has a sense of history about it that I find appealing. A deal breaker for me is being dull, if it has no story behind it or no interesting features then really, what’s the point? There are so many watches out there competing for attention. I hope the Uhuru story is compelling to enough people to make it successful. 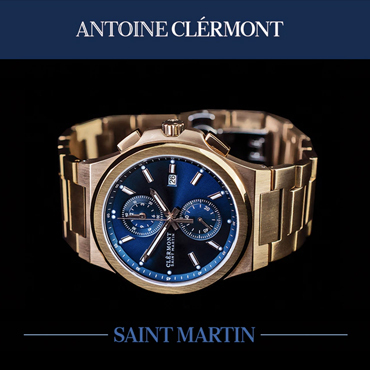 There is a great leap between watch collection and watch production. What made you decide to take that leap? I’ve been toying with several business ideas and one day looking at the Magrette website I decided it was something I could do. Magrette made great use of their history and where they were from to create a successful brand which inspired me. I saw a market gap in South Africa where luxury brands are very popular and I couldn’t find any local luxury watch brands. People choose brands to say something about themselves and the concept for Uhuru is to say "I celebrate where I’m from, I’m global and I’m proud." One of the most appealing things about the watch is the way you have incorporated traditional Zulu elements into the design. Tell me more about the design and your inspiration. The goal in creating Uhuru was to take South African design to the world in a way that South Africans could be proud of and the international market would find appealing. I wanted to counter the monolithic ‘Africa’ idea that so many in the world seem to have of wildlife roaming the plains and poor people in huts and shanty villages. South Africa is full of amazing cites and beautiful, successful people. 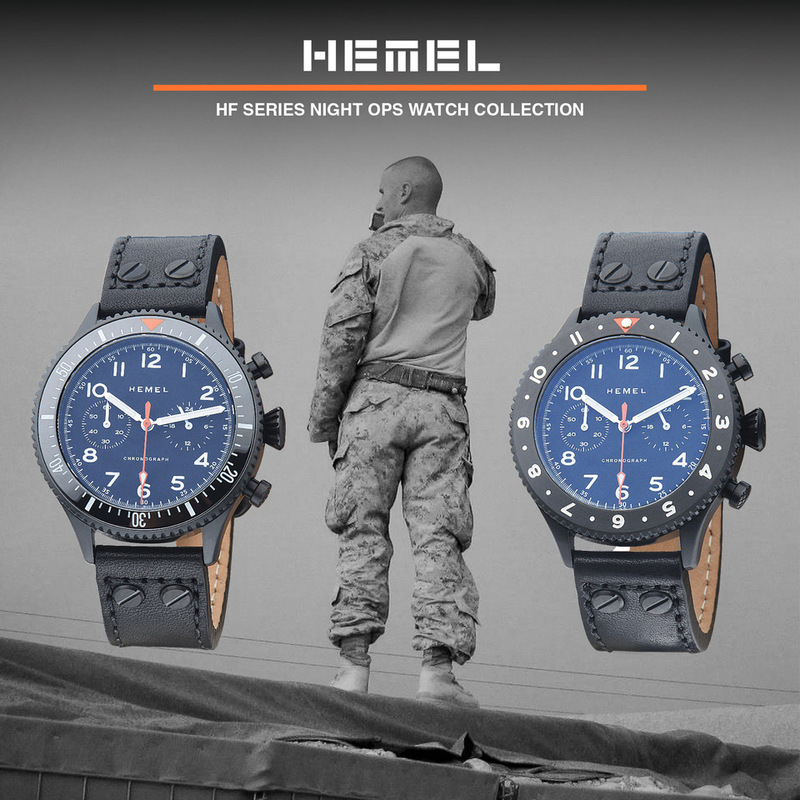 I want the Impi Automatic to appeal to the CEO in Johannesburg or the advertising executive in Cape Town as much as the watch enthusiast in Melbourne or Los Angeles. When it came to the design of the Impi Automatic, I had a slightly military/diver concept in mind and wanted it to be clearly South African. The figure of the impi warrior seemed the perfect inspiration and provided a great name. The spearhead hands and shield curves for the case worked really well along with the shield pattern on the strap. The shield curves in particular gave a case a great retro cushion look that I really liked. 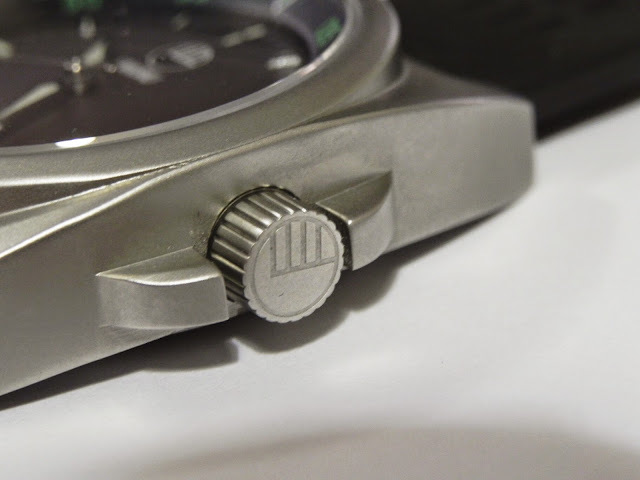 I loved the internal bezel from the Magrette Regattare and was keen to include that in my design, but the 2 and 4 crown placement didn’t really work. I was stuck for a while till I saw a Jean Richard Diverscope with its 9 and 3 crowns, that’s when I knew the design would work. 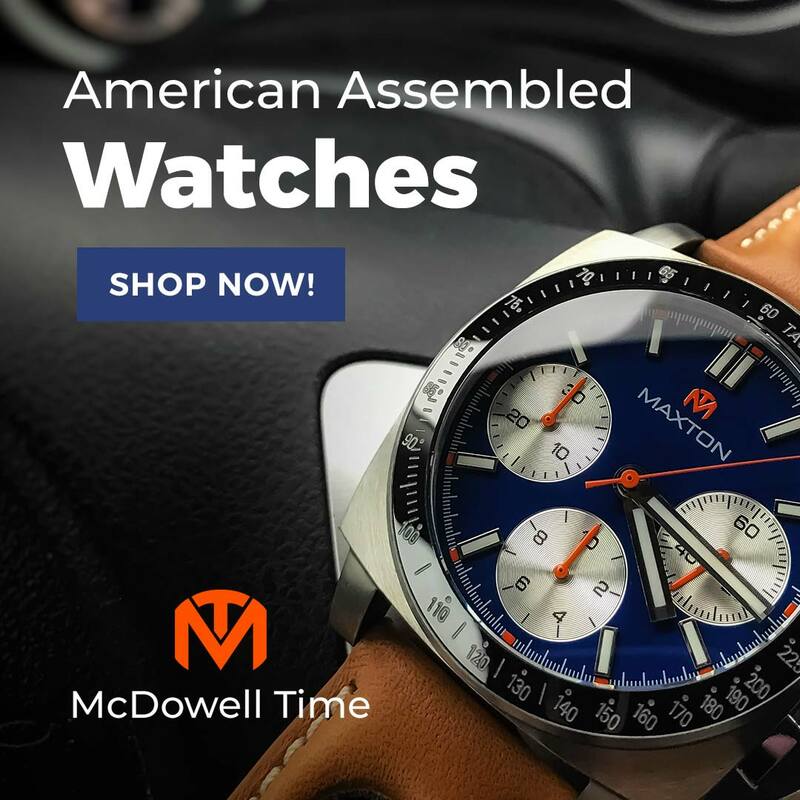 What experience do you bring to this watch making venture? This is my first venture so it’s mainly life experience rather than anything specific to watch making. I’m learning so much in this project from design tools to marketing strategies to logistics. Creating something from nothing is an immensely rewarding challenge. My enthusiasm as a collector and passion as an entrepreneur will go a long way in making Uhuru a success. What are some of the challenges you have faced bringing this project to fruition? I suspect I have the biggest ones ahead of me. Working with suppliers and manufacturers has been relatively straight forward and building my presence on social media has been a lot of fun. Most of my engagement has come from South Africa and I expect it to be the largest market for Uhuru. A big challenge I foresee is the Kickstarter campaign and ensuring the engagement translates into Kickstarter support. I’m putting a lot of effort into building my fan base well in advance of the launch to help ensure it’s successful. As a consumer, I am fascinated with the number and diversity of boutique watch makers. Now that you are your own micro brand, what do you see for the future of this market? I think it’s going to keep growing from strength to strength. That’s the beauty of the internet for marketing and globalised production; the barriers to entry are so low that anyone with a concept can give it a shot. It’s wonderfully democratic. I suspect that much like music and book publishing there will be a lot of niche markets that are waiting for the right concept. First up is our Kickstarter campaign later this year, that’s really our main focus at the moment. All the future plans will rest on whether or not we’re successful in this campaign. I ultimately want to see Uhuru grow into a global brand stocked in boutiques around the world but I suspect that’s what most watch brands want! I’m prepared to take it step by step though, and this launch is the first step of many. 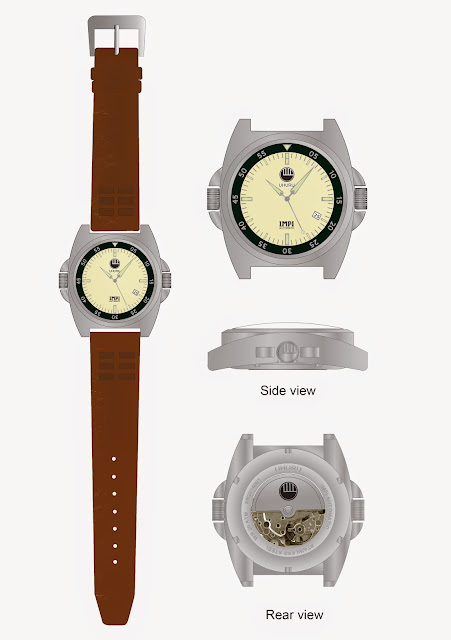 If you want to see more, and keep abreast of Uhuru news as the launch date approaches, check out their web site www.uhuruwatches.com, and follow Uhuru Watches on Facebook and Twitter.